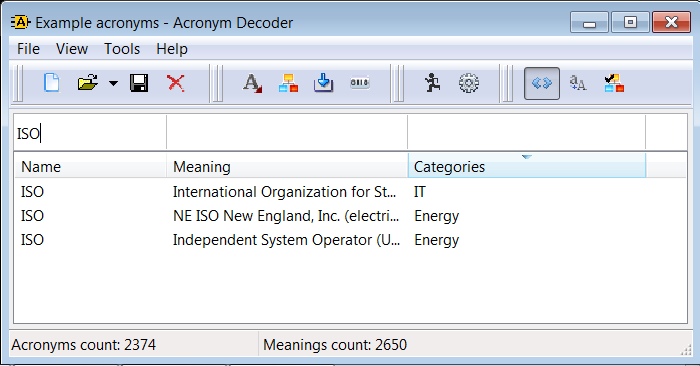 A simple tool for quick searching of meaning for various acronyms and abbreviations. Quick searching by acronym name, meaning or category. Exact or partial match. AcronymDecoder main.png​ (19.9 KB) - added by chronos 13 months ago.